LAS VEGAS (Jan. 8, 2018) - Caesars Entertainment properties in Las Vegas are using technology to enhance the guest experience with Ivy™, a 24-hour virtual concierge service. With additional rollouts to Caesars Palace and The LINQ Hotel & Casino over the summer, Ivy is now live in more than 6,000 rooms within Caesars Entertainment Las Vegas Resorts, making Caesars Entertainment the first major gaming company in Las Vegas to offer a widespread guest text messaging program with built-in artificial intelligence. Ivy, created by Go Moment®, is the world's first automated guest engagement platform for hotels powered by IBM Watson. Caesars Palace and The LINQ Hotel & Casino are the latest Caesars Entertainment resorts to introduce guests to Ivy, which initially launched at the boutique Nobu Hotel at Caesars Palace and The Cromwell in December 2016. Ivy is expected to expand to Planet Hollywood Resort & Casino in February with planned rollouts to the remaining Las Vegas resorts in 2018. "This technology allows us to elevate the guest experience and improve speed and efficiency, resulting in increased customer satisfaction levels and seamless experiences for our guests," says Michael Marino, senior vice president and chief experience officer for Caesars Entertainment. "Service is at the forefront of everything we do at Caesars Entertainment." Caesars Entertainment Corporation ("CEC") is the world's most diversified casino-entertainment provider and the most geographically diverse U.S. casino-entertainment company. Since its beginning in Reno, Nevada, 79 years ago, CEC has grown through development of new resorts, expansions and acquisitions and its portfolio of subsidiaries now operate 47 casinos in 13 U.S. states and five countries. 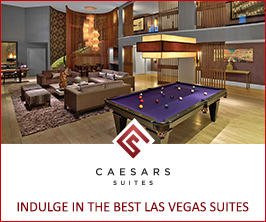 CEC's resorts operate primarily under the Caesars®, Harrah's® and Horseshoe® brand names. CEC's portfolio also includes the London Clubs International family of casinos. CEC is focused on building loyalty and value with its guests through a unique combination of great service, excellent products, unsurpassed distribution, operational excellence and technology leadership. CEC is committed to environmental sustainability and energy conservation and recognizes the importance of being a responsible steward of the environment. 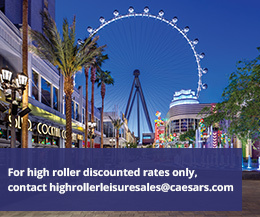 For more information, please visit www.caesars.com. Go Moment® created Ivy™, the world's largest chatbot for the hospitality industry. Ivy has served millions of guests, automatically answering 30 percent of customer service questions in 1 second. Besides automating typical service questions, Ivy™ routes complex requests and service issues to hotel staff for improved efficiency and delighted guests. Ivy™ can also book restaurant reservations, spa appointments, and other revenue-driving services. Ivy™, uniquely powered by IBM Watson's™ artificial intelligence technology, streamlines operations, increases satisfaction, and revenue for its hospitality clients.